Brook recently joined the Animal Emergency Services team after living in WA for 3yrs. After growing up on a rural property where she worked with cattle, Brook started as a school-based trainee when she was 15yrs old. 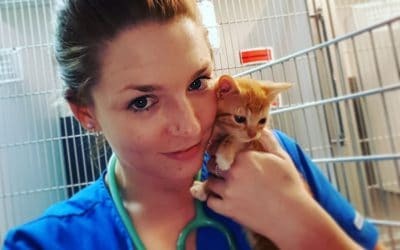 Brook has now worked as a vet nurse for over 10 years, caring for animals as small as a guinea pig to as large as horses, and has not looked back since. Brooke is currently in the process of completing a Diploma in Emergency and Critical Care. In her free time, she enjoys spending time with her short-haired cat called Indi, who keeps Brook on her toes and loves trying to drink her coffee!